The Zoute Air Trophy returns for the second time on the Albertstrand, May 16th-19th 2019. Question:What is more exciting for any pilot than landing a plane on the beach? 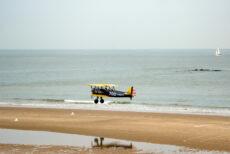 Answer: Landing a plane on a beach as part of a STOL competition! STOL? Short Take-Off and Landing. Using precision flying skills, the pilots need to combine the shortest possible take off with the shortest possible landing. With four different competition categories, almost all planes from the smallest weighing less than 500kg to the largest at up to six tonnes, can register. 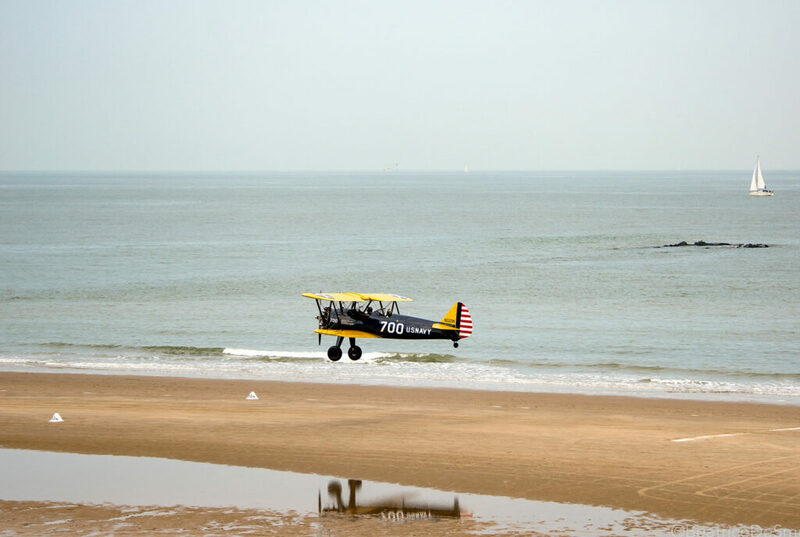 This year, even electric planes will be gracing the Knokke skies – the future meets the past! “No other competition in the world combines the elements of STOL with landing on a beach” comments Sam Rutherford, founder of the Zoute Air Trophy, ex-British Army officer and DEA helicopter pilot. Pilots from all over Europe are flying in for the event. They are eager to compete not only for the Trophy, but also a coveted place in the team representing Europe against the USA next June in Greenland. Everyone is welcome to witness this unique aviation spectacle, from aviation enthusiasts, fans, adventure addicts, to the simply curious. There is something for all the “young from 7 to 77 years old”. The magic of airplanes ignites the “inner child’s” flying dream still buried deep down in most of us. “Witnessing such magnificent machines landing on the sand, almost like a settling feather, is something to be seen!” Especially as it will happen where sand castles and paper flower shops usually sit. What partners say: “We are enthusiastic in our support. The Zoute Air Trophy embodies exactly the pioneering spirit of what it means to be adventurous, daring and enterprising. We are pleased to play a part in it”. Last year’s winner of the competition: Jean-Louis Schlesser, with a landing distance of just 11.30m. He is a two-times Paris-Dakar winner, a Formula 1 racer and test-driver for Williams. He now holds the World Record for the First STOLcompetition on a beach. Miss Belgium ‘18, Angeline Flor Pua, pilot in training during the last edition and commercial pilot now, attended the prize-giving ceremony.